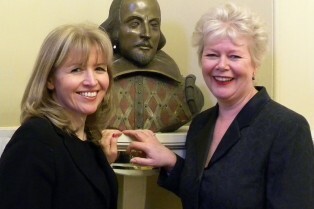 Stratford-on-Avon District Council together with Stratford-upon-Avon Town Council have appointed a new Project Manager to develop Shakespeare’s Birthday Celebrations as an internationally recognised event in Stratford-upon-Avon, the wider District and across the world. Today, Wednesday 8 January, Val Harris has been appointed to this role. Val will be looking to secure funding and sponsorship for the Birthday Celebrations to take the pressure off the public purse and develop the event for the future, continuing to work with partners. One of the main duties of the role will be to create a ‘Friends of the Shakespeare Birthday Celebrations’ scheme – to provide financial support and also volunteers with people getting involved to secure future Celebrations.